Home > General > What does debt look like across the UK? I used to advise people who were experiencing debt problems. I worked in several Citizens Advice Bureau across the United Kingdom. 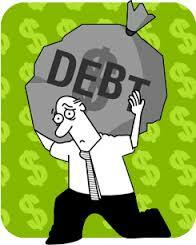 Sometimes people who are in debt find it incredibly difficult to deal with. It is common for debt to result in threats to mental wellbeing and a number of suicides have been linked to debt problems. It is too easy to judge people who have debts if you have never faced those challenges yourself. The biggest thing to lead to debt troubles is a change in circumstances. It could be a job loss, sudden illness or disability or even an increase in the size of the family. Financial education is schools is still sadly lacking so many young people find themselves taking on credit that they will not be able to pay back. I know I made that mistake when I was a student back in the Eighties. It is very common for people who get a firm letter from a creditor to bury their head in the sand. I remember clients coming to see me bringing a black bin liner full of unopened post. All too often people in debt respond to the creditor who sends the nastiest letter rather than working out who they would be best paying first if funds are low. There is help available and you do not need to pay for that assistance. You are not alone. If you don’t believe that, take a look at a debt map of the UK and you can see that there are others struggling with money problems just down the road from you. I received payment for writing this post. Well said. And I hope someone stumbles upon tour blog and takes action.